Every time a comedy clip from Saturday Night Live rolls up and is ready for posting….I must admit that it brings a certain amount of trepidation….cuz I never know if I can post the actual video that has been loaded on youtube for the purpose of posting here at ImaSportsphile….cuz those “jake-legs” play the copyright card whenever any Saturday Night Live video is posted…..but they do so on 98% of the rest of the 2650 videos that are currently posted….which is real interesting to me….cuz EVERY video we have posted has been copyright content…..for NOTHING in our vintage video library is content that we produced…..which is sad….cuz we have at least 100 vintage SNL video taped programs….which was really funny back when the Not Ready For Prime Time Players”…..brought comedy to live television on Saturday nights in America back in the 1970’s and 1980’s….evidenced by this John Belushi and Garrett Morris piece….where Belushi plays NBC President Fred Silverman….who was expounding on his ideas for new programming for the network….which is really quite funny. 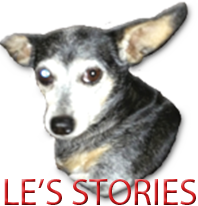 Anyway, it is this lil ole chiweenie Sportsphile’s opinion that we will eventually solve this issue with the “utubers” deciding what of our content is truly infringement on copyright….but until then….every now and then….I will slip one by the “utubers”.…but until then….ENJOY this one!! !